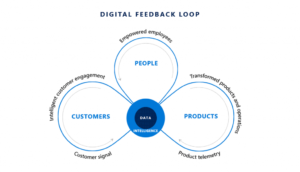 At the center of the Digital Feedback Loop is data. This data from customers, products, and people is fuel for intelligence, ensuring each customer an amazing journey. Dynamics 365 is built around this data and intelligence. Digital technologies are applied to more intelligently engage customers and empower employees. To read James Phillips announcement in its entirety, click here. The Spring 2018 release focuses on three main areas: business process applications, intelligence infused throughout, and application platform capabilities. The Dynamics 365 Spring 2018 Update also features deeper integrations with Office 365 applications including Outlook, Teams, Sharepoint, Stream video, Azure, LinkedIn, and Bing. 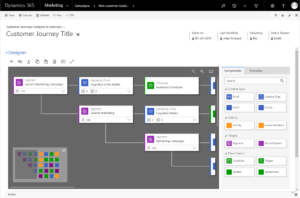 Dynamics 365 for Marketing is an entirely new component of Dynamics 365 Customer Engagement Application. Without leaving Dynamics 365, your marketing team can create engaging customer emails, landing pages, webforms, and manage in-person and online events. Customer Journeys allow you to build automated campaigns for individual prospects and customers. We will be having a much more detailed blog post very shortly on our experiences with Dynamics 365 for Marketing. 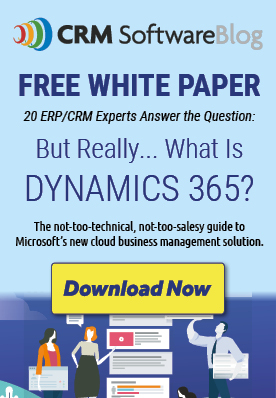 To learn more about what's upcoming in Dynamics 365, visit our blog. Do You Really Need CRM to Grow Your Business?